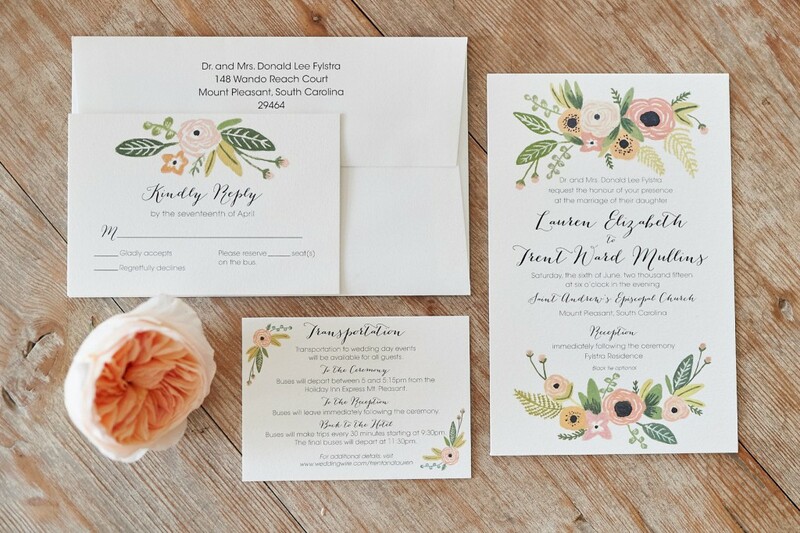 Southern Brides, take note! 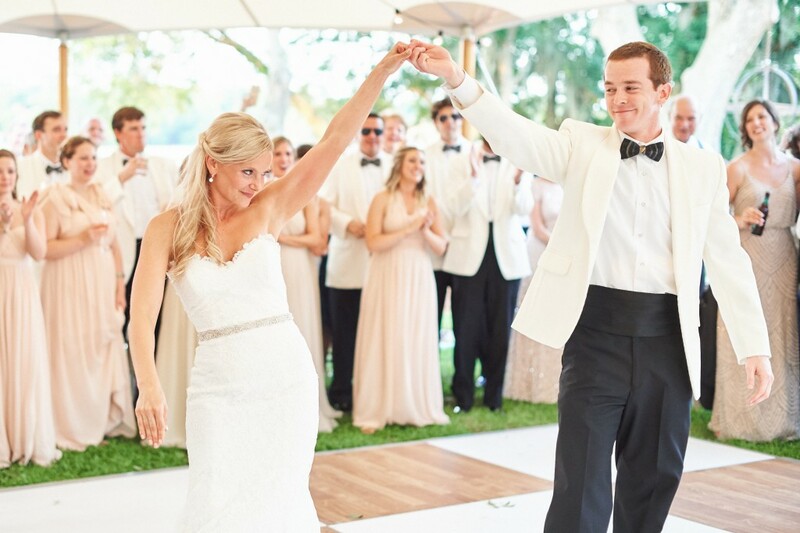 Lauren & Trent's backyard wedding combines tradition with sweet southern style! 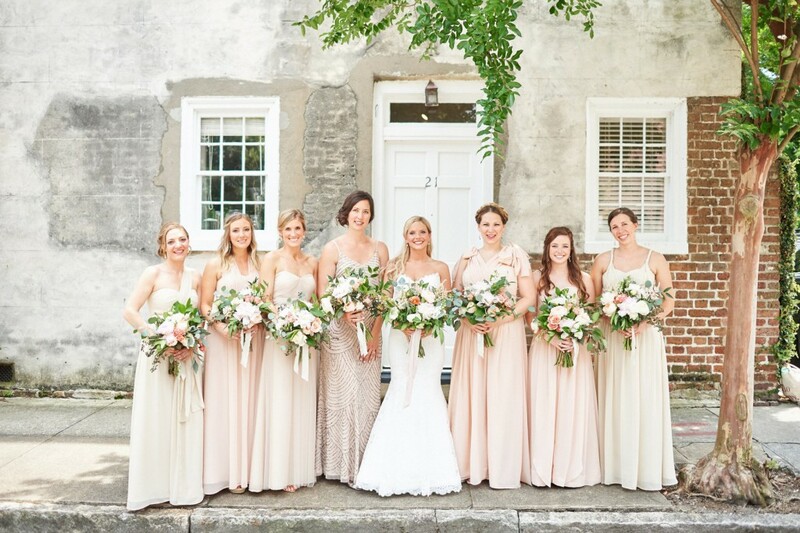 Bridesmaids wearing Jenny Yoo Collection from Bella Charleston! #BellaCharleston! We met after college in Atlanta, GA. Trent is from Atlanta and went to the University of Miami. I am from Charleston, SC and went to the University of Georgia. 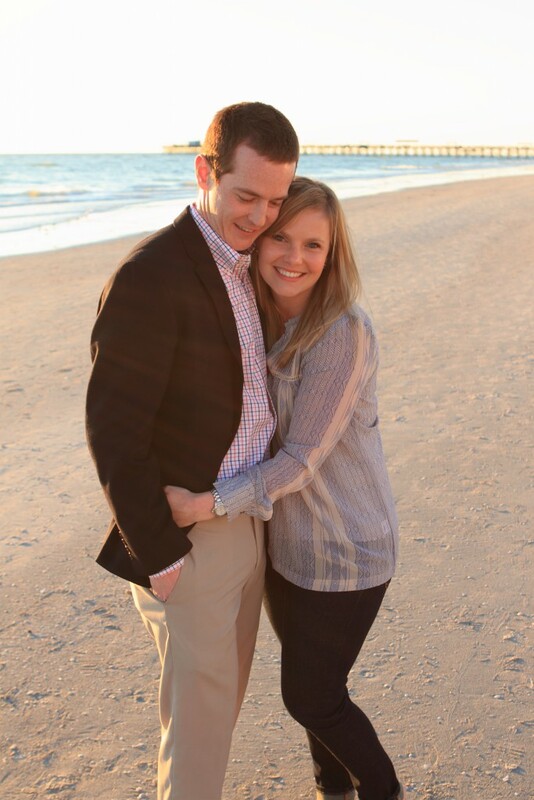 My sorority sister and college roommate, Maggie, began dating Trent's close friend, John, our junior year of college, and we all ended up moving to Atlanta after graduation. I accompanied Maggie and John to a World Cup party with John's high school friends and was introduced to Trent! After moving to Chicago, I knew we'd need a sun filled vacation during our first winter. Trent's family has a condo on the beach in St. Pete, FL, so we booked a trip at the end of February as an escape from Chiberia. On our second to last night at the beach, Trent made it clear he wanted to get a drink at a tiki bar down the beach and watch the sunset before heading to dinner. We grabbed a drink as planned and Trent took me to an area on the beach where roses and champagne were waiting! He proposed on the spot and then revealed he had hired a photographer to capture everything! We took more pictures on the beach and then Trent revealed he had another surprise. We walked back up the beach to the condo, and guess who was waiting for us?!?! Both of our parents, his sister, my sister, my brother in law, and my 3 month old nephew! They were in on the engagement and made the trip to FL to celebrate with us. They had a dinner and party ready for us at the condo! It was so nice to have everyone there with us to take in the moment. 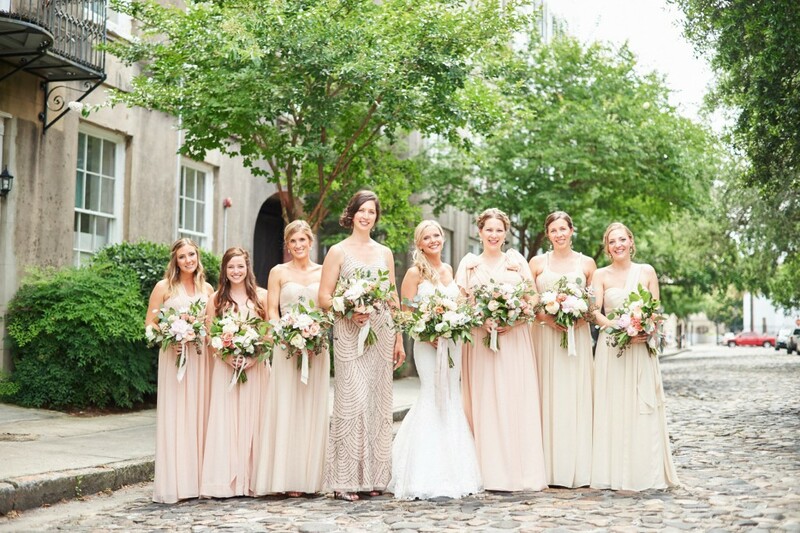 I always knew I wanted to get married in Charleston, SC - my hometown. It is such an amazing city with so much to offer! I originally wanted to get married downtown at a classic venue, but changed my mind once we realized the costs involved and how you were required to select from limited vendor lists. We didn't want to be tied down like that. My sister had her reception in my parents backyard, which is right on the water and the setting is spectacular. I really wanted to do something different than her, but realized this was the ideal location due to costs, spectacular views, and planning ease, as well as being personal and special to our family. 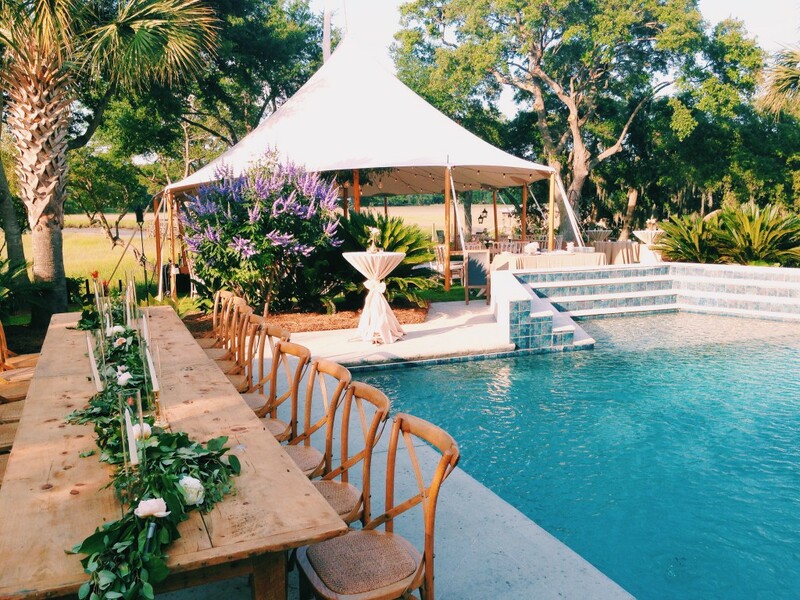 I am SO glad we went with the backyard wedding - no regrets! I was a Fashion Merchandising major at UGA and ended up getting a connection through my university to do a Summer Internship at Bella in Charleston! 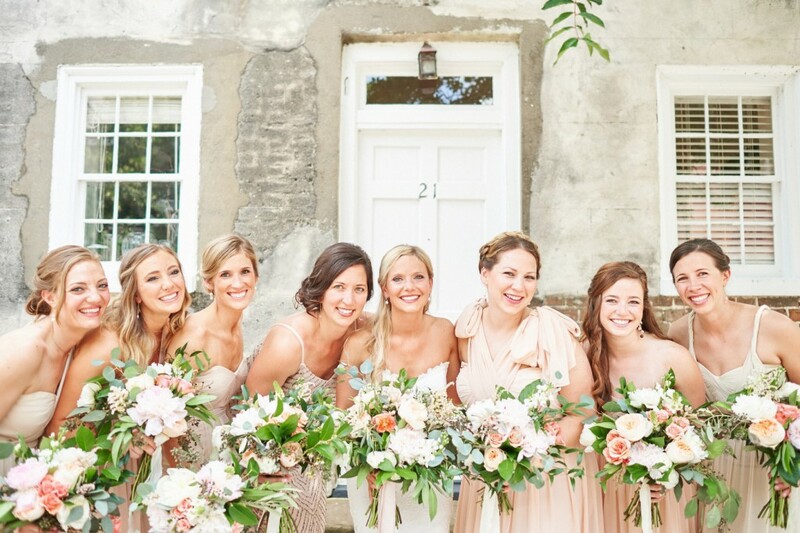 I had an awesome experience as a intern with Allison in Charleston and always knew I'd come back when it was my turn as bride! A lot had changed from when I interned and when I came in for my appointment in Charleston - bigger selection and easier ordering process (all online). It was awesome! I'd highly recommend Bella to brides all across the country. I had a general idea of what I wanted, but Allison and her team really helped me pull my vision together. My bridesmaids were very pleased with the looks and very happy they could style their gowns however they wanted! 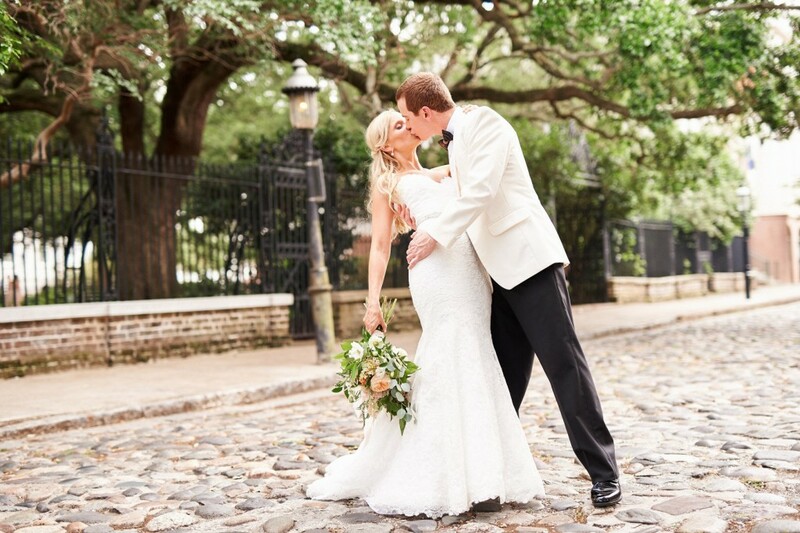 My bridal gown was Romona Keveza and is from Maddison Row in Charleston. The entire day!!! Ha, I mean if I HAVE to narrow it down I'd say the reception. This was when I was really able to relax and enjoy the moment. I kicked off my designer shoes and let loose. 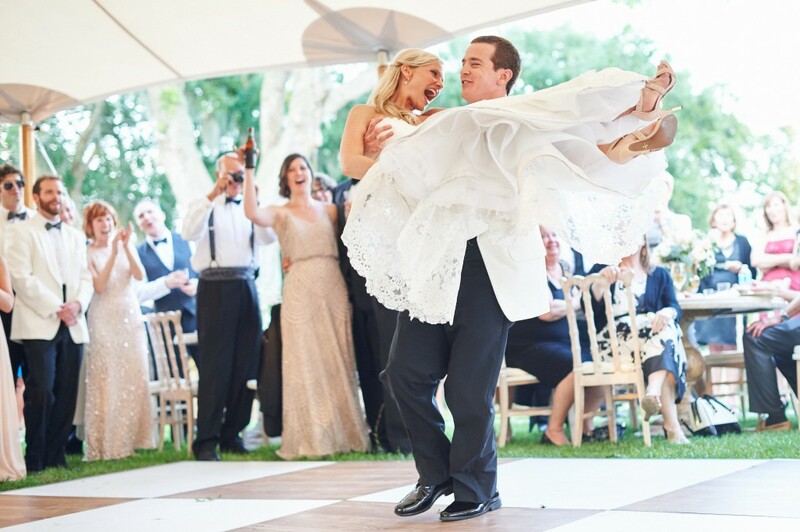 I made a point to be with our guests and spend most of the night on the dance floor with my husband. 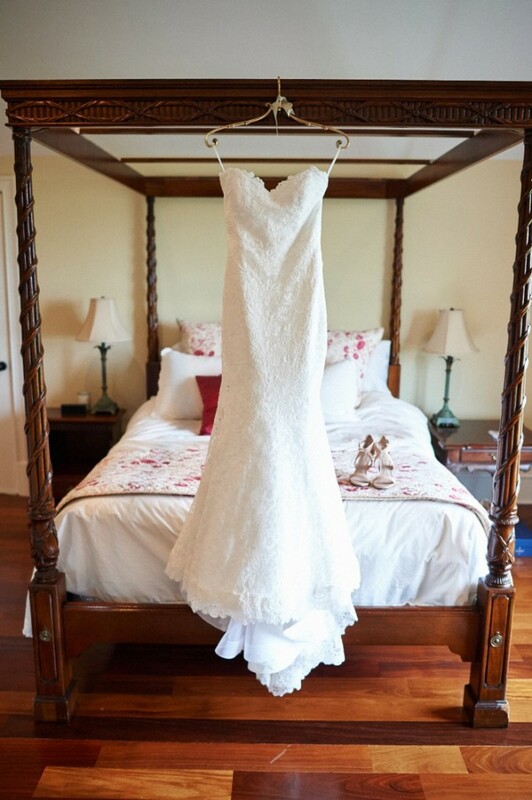 Most of the day you're following a timeline, giddy with nerves and excitement, and focused on getting down the aisle! It was nice when the nerve wracking part and formal photos were over! 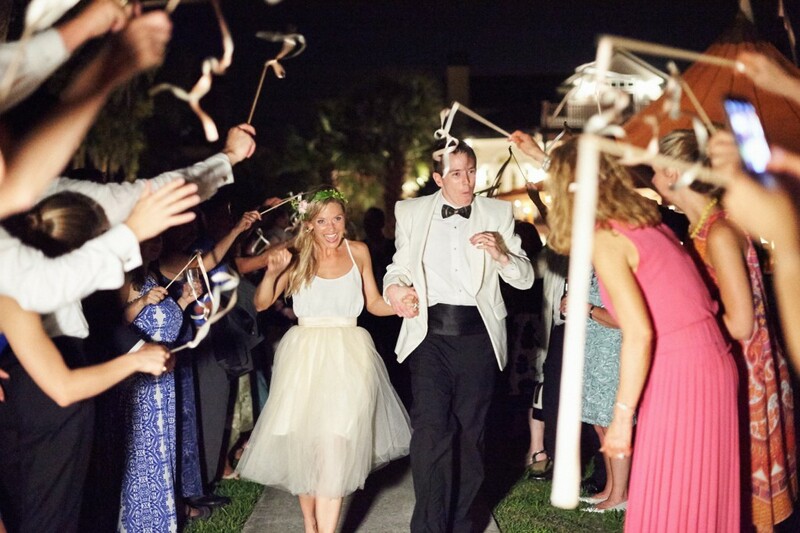 My desire to have a wedding that was different from other weddings and show our personalities. I didn't want the wedding to be too traditional and also wanted to have some unusual surprises for our guests. 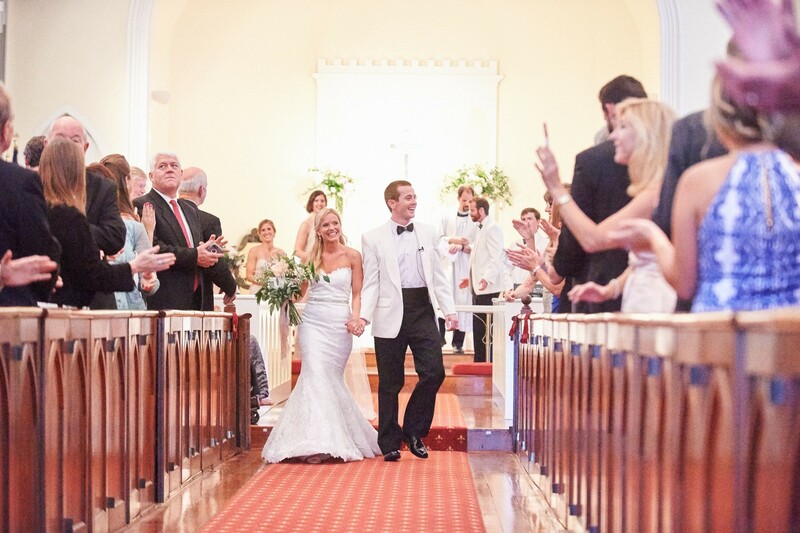 For example, we had a "Love Actually" style ending to our ceremony. The Plantation Singers, a traditional Gullah acapella group, sat out of sight in the balcony during our ceremony and belted out "Oh Happy Day" during our first kiss. It was AWESOME! 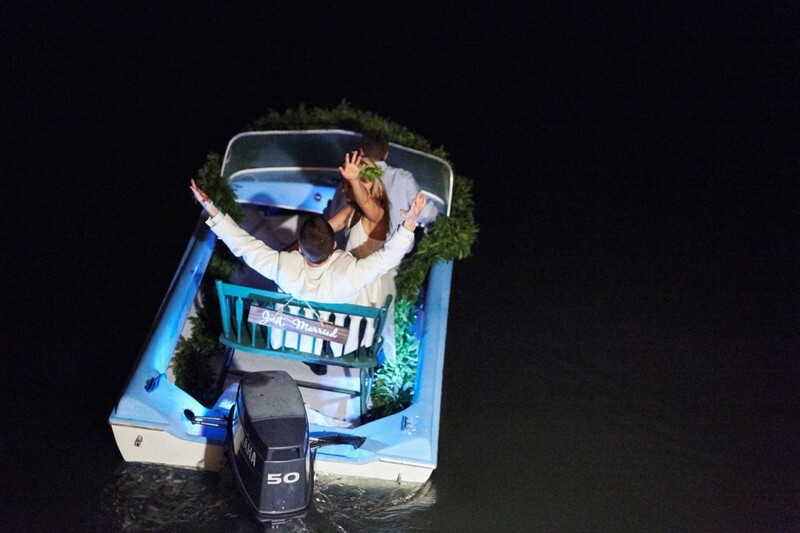 We also left for our wedding night hotel, which was down the river from our reception, by boat from my parent's dock and had fireworks go off as we sailed away. We also really focused on making our guests feel at home. 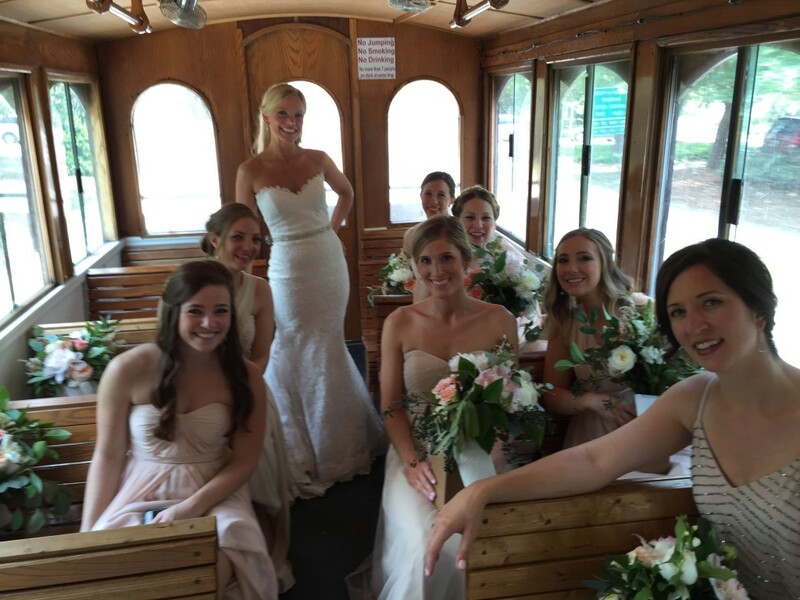 We provided transportation for guests to and from events and had a really fun atmosphere at the reception. It was a very warm June day, so many guests were a bit sweaty at the end of the night. A few of our friends jumped in my parent's pool before our exit to cool off - black tie attire and all - that's how at home they felt! Invest in a videographer. People will tell you "pictures are enough" or "make sure you take a moment to take everything in". It's just so hard to remember every detail and really take everything in. Having a video is so awesome and helps you go back and relive the day. I get a better feel for everything by watching our video. Don't get me wrong, pictures are everything too, but the video still melts my heart and I watch it regularly. 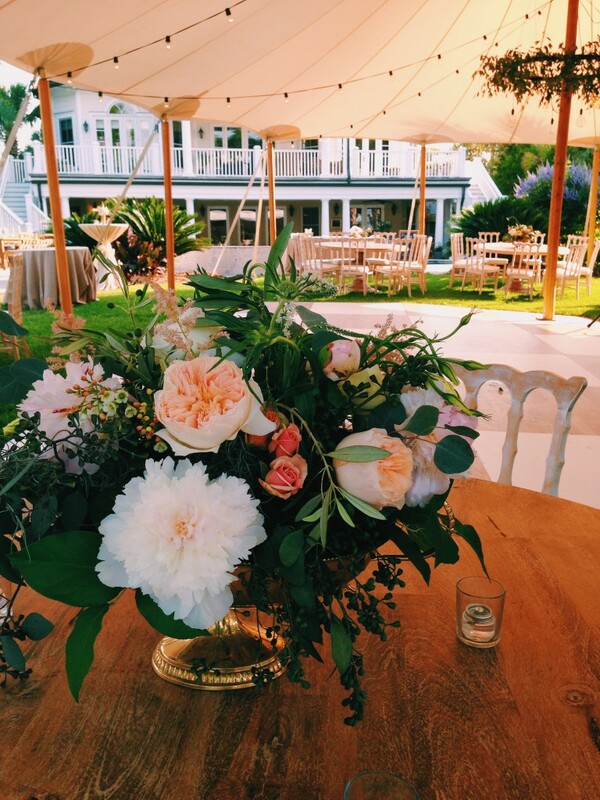 I'd also recommend for brides to not get caught up in all the little details - they are important - but it is inevitable that things will go wrong here and there and you can't let it ruin your big day! For example, our bridal party trolley got the AC unit knocked off the top the night before by driving too close to a low lying tree. I swear, I double checked 5 times with the company that the trolley would have AC. It's June in SC and this was a non-negotiable. There was nothing I could do to have prevented that, so I brushed it off and went with the flow (and sweated a good bit). 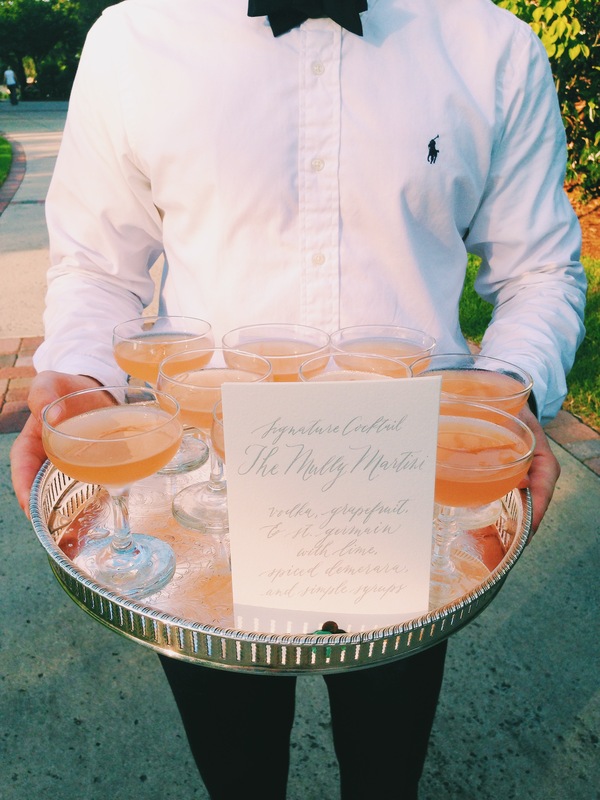 One of our bar tenders had a seizure at the reception right before the bridal party was announced and our first dance. He fell backwards and knocked over a backless bookshelf holding glassware into the marsh - shattering everything. Luckily, he was okay after medical help arrived, and the party went on once he was taken care of! We just knew we'd have to set the tone for the rest of the night and lighten everyone up after the health scare! We also had a hiccup with the arrival of our late night snack - Chicago style Hot Dogs via a food boat! It caught on fire a few hours before they were supposed to arrive - LITERALLY THIS HAPPENED - but our amazing day of coordinator handled a back up plan and arranged for them to bring their food carts instead. Less impactful and unique, but equally as delicious. Lastly, I can't emphasize enough the importance of a GREAT day of coordinator. I really trusted ours and she knew me well after many meetings and planning calls. It was so nice to know she had my master plan and was ready to execute no matter what came her way - and she did!